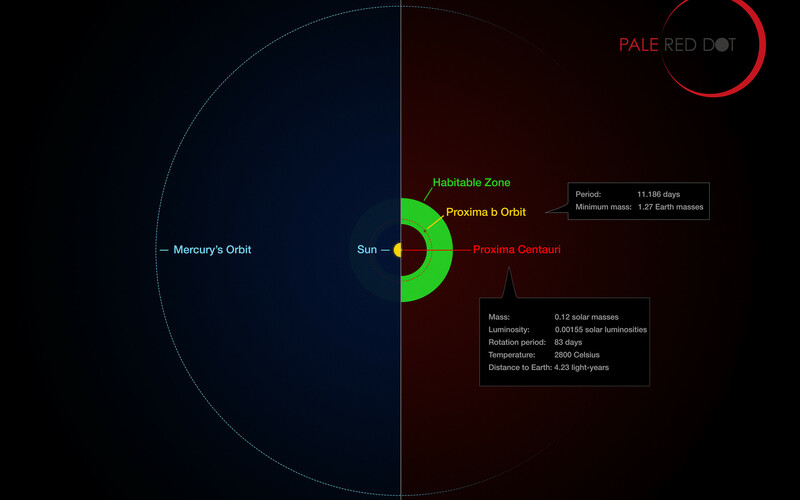 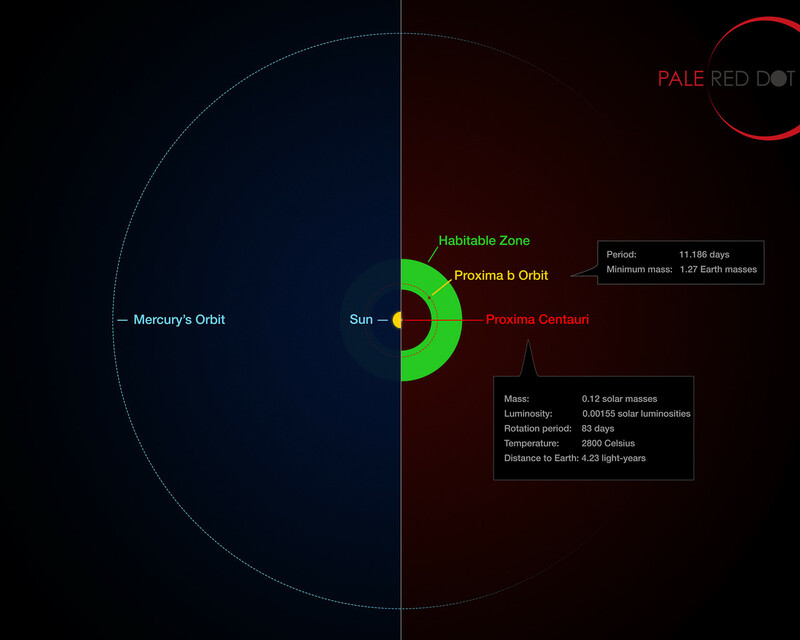 This infographic compares the orbit of the planet around Proxima Centauri (Proxima b) with the same region of the Solar System. 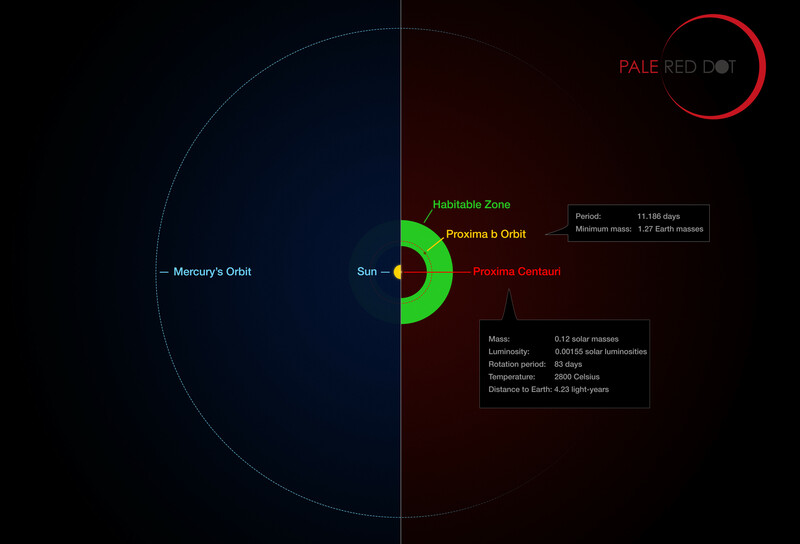 Proxima Centauri is smaller and cooler than the Sun and the planet orbits much closer to its star than Mercury. As a result it lies well within the habitable zone, where liquid water can exist on the planet’s surface.